When it comes to growing seedling and some vegetables like lettuces, microgreens, T5 grow lights seem to be the best. HPS bulbs are expensive, hot and contain much space while you have to pay extra money for the future research of LED lamps. On/off switches to turn on/off each bulb. Hydrofarm is a popular manufacturer of horticulture and hydroponics products, and this T5 light is among their most popular products. If you're looking for affordable and reliable efficient T5 grow lights, these are the best one. There are a variety of bulb options for bulb size and bulbs numbers for growers to choose, which can get you from 96 watts (40,000 lumens) to up to 648 watts (60,000 lumens). With two 4" tubes, you can get up to 6 DLI (daily light integral) within 16-hour performance (104 PAR (Photosynthetically active radiation)), enough for growing seedlings. For lettuces, and other green vegs (which require 12 DLI or above) to achieve the maximum yield, you must get a 4 4" tube fixture or larger option. The downsides of these tubes are they emit some heats. They can be so much of a problem if your grow system is closed, and you have a big option (like 4 4" fixture). Otherwise, for an open growing, this is not a big issue to worry over. The fixture needs your chains to hang. Only the Hydrofarm Agrobrite Designer T5 FLP24 has the chaining option, probably which is why it is a little more expensive than this option. So if you want the daisy chain outlet, and different color, opt for the Designer version. They also share similar quality with the Agrobrite FLT24 T5 system. If you're looking for a high-end T5 brand on the market, the Quantum BadBoy should be on top of your list. Quantum is a merchandiser of Hydrofarm, the seller of the Agrobrite T5 fixture above but they have their own brand and don't use Hydrofarm logo on their products. Also, Quantum aims at higher-end customers who are willing to pay more bucks to get quality T5 fixtures and bulbs. Many indoor growers have used their products for decades. You will be impressed by its premium design. But what makes the fixture special is its build quality and materials used. Their reflector is made of aluminum and coated in German glass. Also, it has vented holes, making it easier for the heat to escape. The Badboy uses the expensive Fulham Race Horse ballast, which helps produce the top-of-the-line light output among the T5 fixture manufacturers. Growace did a test and found that the Badboy produced the highest light efficiency (par per watt) with 23.32 among the four products tested. The second-highest efficient fixture only has 18.97 par per watt. There's a big leap in the price between the Quantum T5 lights and other counterparts. And even they don't include bulbs with their fixture. However, these are worthwhile if you're looking for a quality T5 fixture that works well for seedling, vegetative, and even flowering phases of plants. Quantum tends to produce more heats than other brands. Higher temperatures can be expected for a fixture that provides more par per watt. But again, this is so much of a problem if you grow in a closed space, or you turn on all bulbs. If this is too hot, you may need some fan for ventilation. But you'll never worry much about heat issue like when growing with HPS. Eight 54-watt tubes can bring you up to a 440-wattage T5 system, by which you can turn on about 3-4 tubes for seedling growing or power all eight tubes for growing fruiting plants. The T5 fixtures from Durolux are great lights for the money. They are less expensive than the Agrobrite and still among the best seller T5 products. The fixture comes with a daisy chain and more lightweight than other counterparts. A 4' 4-tube version only weighs 9.75 pounds. It can emit up to 20000 lumen when running four tubes simultaneously. The manufacturer boasts about their flexible light output for step dimming, and a 14' power cord to reach far places. So this fixture is also best suited for growing seedling, and veg green. It is not ideal for fruiting plants. Overall, the Durolux fixture is worth buying for some good reasons. It is more affordable than the Agrobrite and comes with other extra stuff like hanging hooks, chains, more outlets on the fixture, a more extended cord, and flexible light output. The Sunblade T5 fixture is no doubt a great pick if you don't like the Agrobite product by Hydrofarm either because it's a bit more expensive or you like the Sunblade design more, or just because the Arobite is out of stock. Whatever your reasons are, I believe you'll still enjoy excellent results with the Sunblade. In fact, the Sunblade is less popular than the T5 fixture from Hydrofarm, but it is used by lots of growers and gets many positive feedbacks. VIVOSUN is also a well-known horticulture manufacturer, and they also provide many reliable products, including their T5 fixture. Their T5 fixture is another low-profile fixture that is perfect for growing in narrow spaces either vertically or horizontally. An average 2-year warranty also gives customers a guaranteed option to purchase the product and reduce the risk of losing their money on a defective fixture. There are some crucial factors you need to know to maximize your buying decision. The thickness of the T5 bulb is standardized to 5/8’’, but the length can vary. Two typical tube lengths are two and four feet. The more tubes with greater length, the bigger your fixture will be. Rule of thumb: Get the largest size your indoor garden can comfortably accommodate. Most modern fixtures allow you to turn on/off separate bulbs. This feature will enable you to adapt the grow lights for the best light efficacy and save electricity consumption as well. So with a large-size fixture, you can customize the light output for different plants. In contrast, you'll never be able to do that if you get a small fixture right from the start. Also, a larger and more powerful fixture also helps you to back up in case you extend your growing spaces in the future. T5 grow lights have two bulb temperatures. Each has its function in assisting plants through all stages of growth. 6,500K bulbs are practical for microgreens, seedlings, and plants in the harvest. 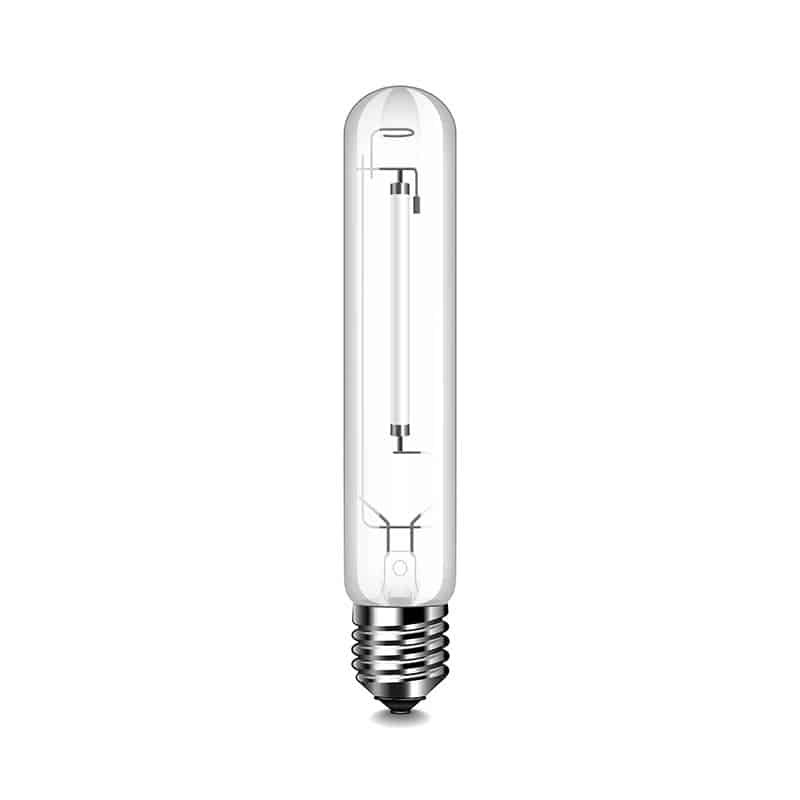 These are the most popular T5 Kevin bulb type. Those who just want to use T5s for seed starting and growing vegs can be satisfied with using only 6,500K bulbs. If you're going to grow fruiting plants, you can combine whiteish bulbs (6500k) and some yellowish bulbs (3000K) to provide more spectrum wavelengths for plants to maximize their growth. The reflectors do increase the focus your T5 lights, which helps improve the efficiency of your lights. Look for a T5 fixture that has this extra feature. You can control the lamps independently by dimming or switching off some while others stay on. This feature is beneficial because not only it helps you save energy by turning off some wasted bulbs, but it also gives you the ability to light planted areas. And best of all, it's handy when you grow different types of plants which you can customize the light intensity to fit. T5 grow lights are a type of fluorescent bulbs that produce artificial lighting to stimulate the growth of plants grown indoors or any place where there is insufficient light. "T" stands for "tubular" and "5" for "5/8 inch" tube diameter. There are other fluorescent tubes as well, including the T8s, T12s. But T5s are the most popular and efficient among the three. 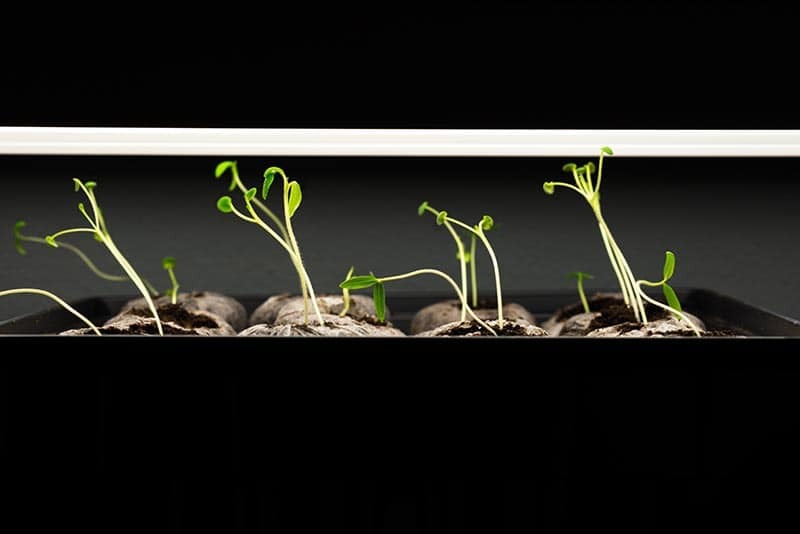 T5 grow lights have been used to grow seedlings, green vegs indoors for decades. Why use T5 Grow Lights? If you just start with indoor or hydroponic growing, the first significant factor you must take into account is how to provide your plants with enough lights. You may have known that plants cannot survive without lightning. So can artificial lights replace the sunlight when it comes to growing indoors? In fact, there are a lot of choices, including CFLs, T5s, T8s, T12s lights, HIDS (HPS and MHS), and later CMH, and LED lights. However, for seedlings, leafy vegs like lettuces, spinaches, T5 are among the top choices not only because of its light intensity, and spectrum color wavelengths, which are suitable for these plants, but because they are cost-effective as well. If you use CFLs, T8s, T12s for your grow setup, you may save yourself a couple of dollars for several years running. But you'll never have as green and fast-growing plants as you do with T5s light because T5s give more light intensity to plants than the three types above. Most HIDs, LEDs are not cost-effective for growing veg plants, and seedlings and are much more expensive to purchase. This explains why lots of commercial growers and hobbyists still favor T5 bulbs. Let's make a comparison to understand how T5 compared with other light types in great details. The numbers stand by the thickness of the tube light. As a rule of thumb, the smaller the number, the more efficient the tube is. So even though T5 often have the same average lamp life of 20,000s as most standards T8, and T12 lights, they have much better lamp efficacy (lm/W) than the T8 and T12 counterparts. You can see from the table above, T5 hits the top for lamp efficiency while T12 falls to the bottom. T5 lamps also win regarding light depreciation over time. They only lose 5% of their light output in their first 40% of life. T8 and T5 bulbs can give out 90% of their maximum lumens within their 20,000-hour lifespan. In contrast, T12 loses 75% of their efficiency in their first 5,000 hours. When it comes to growing plants, you should eliminate T12 from your list as they are so inefficient. So the choices left are T5 and T8. However, since T5s do emit far more photons to plants than the T8s and are proven to have higher light efficiency, T5s are more useful and cost-effective. But one factor you also should take account of is the temperature. With better light output per watt, the T5 lights emit higher temperature than T8s, and T12s with its peak temp at 35oC (95oF) temperature compared with 25oC (77oF) of T8, and T12 respectively. That's why if your growing place is hot, you need to have a good ventilation system when using the T5s or you can choose a T8 instead for the lower heat solution. Any experienced indoor growers know that HPS lamps have a strong light intensity. And in fact, HPS bulbs are the common lights used in the commercial productions. Fruiting plants and plants in their blooming period thrive in HPS because they stir the budding parts of plants. However, HPS bulbs are not the best choice for seedlings, and leafy greens in small-scale grow systems for several reasons. First, HPS lamps are not cost-effective for a limited space of seedling or vegs grow. These types of plants do not need a high light intensity. For propagation of plugs and cuttings, only 8-12 mol/m2/day is required. Bedding plants & Hydroponic lettuces just need 12 -17 mol/m2/day. You can see from the table below, HPS bulbs give a strong of PAR output. And of course, you have to pay for that and accept their heat problems. As you can see, a 400W magnetic ballast by Sunlight Supply gives out 416 μmoles/s per 1m2x1m2 setup. That means this bulb can give out 35.9 mol for 24-hour running. Lower-power HPS options are still surplus for these types of plants. So there can be some lights wasted if you are running these lights all day long, which proves uneconomical for growers. Second, HPS emit lots of heat and require great attention, and venting and that cost extra money. Temperatures are a big concern for many indoor growers, which makes them eliminate HPS as their main choice for growing. Also, because of their heats, you need to hang the lights at least 12 inches and above (depending on your bulb wattage) not to burn your plants. Third, these high-pressure bulbs are great for fruit plants, and flowering stage. They can help your plants grow higher instead of bushier and wider. For green vegs like lettuces, you mostly need them to develop their width, which is why whiteish light colors are more suited. 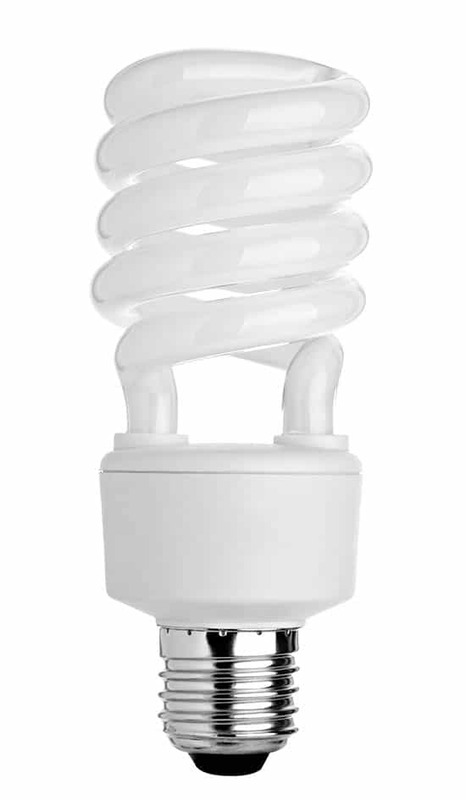 CFLs are just another fluorescent type just like the T5s, but they are shorter in length and often have a spiral form. CFLs bulbs are excellent for household lighting and also have a place as grow lights as well. Because these lights are small in size and produce a little heat, small growers who lack space for gardening love them. However, these bulbs are nowhere near T5s regarding light efficiency. Except for incandescent lights, CFLs are always at the bottom when comparing their light efficiency with other grow light types. Standing from a productive point for small growers, CFLs are not as economical as T5s. And unless your space is very limited, T5s are much better. They are more efficient because not only their light is more efficient, but most T5 lamps also last longer than CFLs (20,000-hour lifespan vs. 10,000-hour lifespan). LEDs lights are considered the grow lights of the future. And they can be the standard future grow lights when their wattage per price is reduced. But in the meantime, they are still much more expensive than other light types, including the T5s. Full-spectrum LED lights have a very long range of spectrum wavelengths, which suit all types of plants and their growth phase. Advanced LED panels also have advanced options that help you to config their specific spectrum wavelength output and light intensity as well. Meanwhile, T5 have just one specific wavelength. The most usual one is whiteish (6500k). 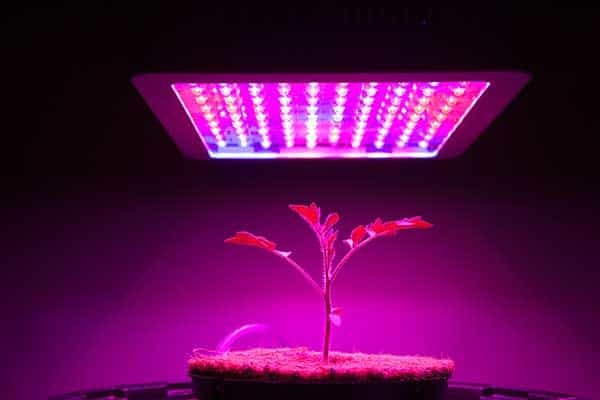 However, LEDs grow lights do not come cheap and may not be economical for some growers, and hobbyists. So if you can spend money, it's great. Otherwise, T5 lamps are still worth for propagation, and green vegs.